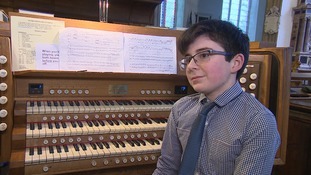 Twelve-year-old James only started playing the organ a year ago and now he has become the youngest ever organist at St Nicholas Church. Hundreds of volunteers who turned out to search for a man who went missing in North Walsham have been praised for their community spirit. A driver involved in a hit and run incident in which a man suffered life-changing injuries has pleaded guilty in court. An apologetic pensioner has returned a library book she borrowed from her high school in north Norfolk in 1953. A young dad, who is swimming the equivalent of the English Channel and back, has been told he must only use one arm. Parents and pupils at a Norfolk Primary School have rallied together to repair damage to their school after a vandals went on the rampage.